What are you doing on Monday, September 12 at 11 am? Consider joining the National Moral Day of Action at the Roundhouse in Santa Fe! Some of you were among the 70 faith leaders attending the training with the Reverend Dr. William J. Barber, II, founder of Repairers of the Breach, at the end of June. (Here is an inspiring video from Rev. Barber at the Democratic National Convention this summer) At the close of the June event we were alerted: There will be more! "We believe our moral traditions have a firm foundation upon which tostand against the divide-and-conquer strategies of extremists. We believe in a moral agenda that stands against systemic racism, classism, poverty, xenophobia, and any attempt to promote hate towards any members of the human family. We claim a higher ground in partisan debate by returning public discourse to our deepest moral and constitutional values." 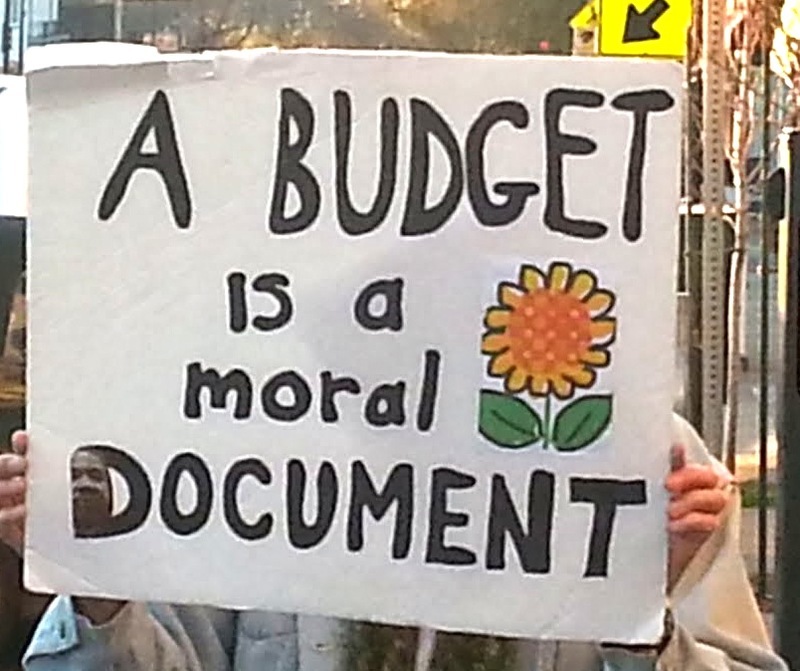 Because our state is teetering on a financial crisis, the theme selected by our local organizers is "Budgets as Moral Documents." Part of our call to attention will be a firm reminder to our state legislators connecting the possible cuts with potential hurt and harm, aka, the human cost. We are urging you to be a part of this historic event. Please let me know ASAP if you will participate, and/or contact Rev. Holly Beaumont if you have any questions: 505-660-5018. Public witness events, like this one, often draw folks from Albuquerque or Santa Fe, but the organizers hope that every corner of the state will be represented - maybe every one of the 33 counties! 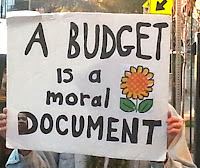 I can't promise that each participant will increase the understanding of the Budget as a Moral Document among our elected officials; but I do know if you are not there...the possibility for such understanding is diminished. Consider your moral response - will you join our state's Moral Day of Action?